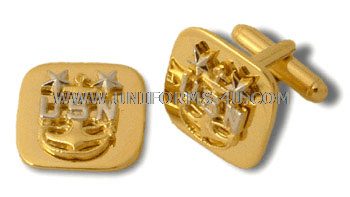 Our Master Chief Petty Officer (MCPO) cuff links are engraved with the rate’s insignia, the iconic fouled anchor associated with Chief Petty Officers (CPOs) since the start of the 20th century surmounted by two silver stars indicating the number of grades above the CPO rate of E-7. 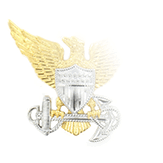 The initials “USN” designate the branch of service as U.S. Navy (the Coast Guard’s MCPO insignia features the Coast Guard shield in the same position). 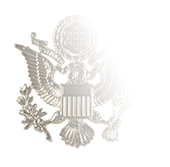 Cuff links are a mandatory component of male and female formal uniforms that include the Dinner Dress Blue Jacket or Dinner Dress White Jacket. 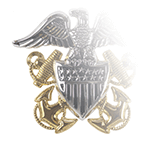 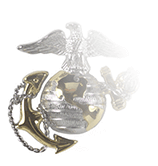 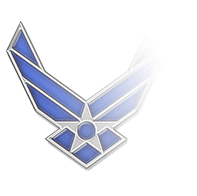 They are optional with the male Dinner Dress Blue, Full Dress Blue, or Service Dress Blue uniforms and the female Dinner Dress Blue and Dinner Dress White uniforms.